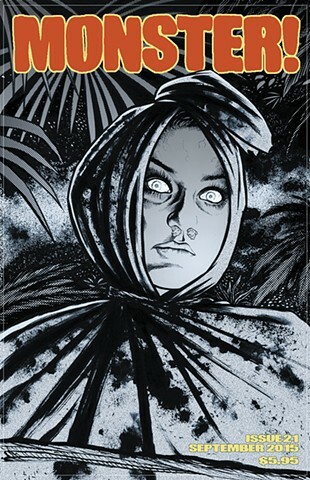 'Pocong' for the Indonesian Horror issue (#21). Pocong are living corpses which hop around in their burial shrouds. Article by John Vellutini. This cover was nominated for a Rondo Award for Best Cover of 2015. Update: Lost to the 'Bride of Frankenstein' cover by Rick Baker. Well done Rick!